Relieve the fuel system pressure before servicing fuel system components in order to reduce the risk of fire and personal injury. 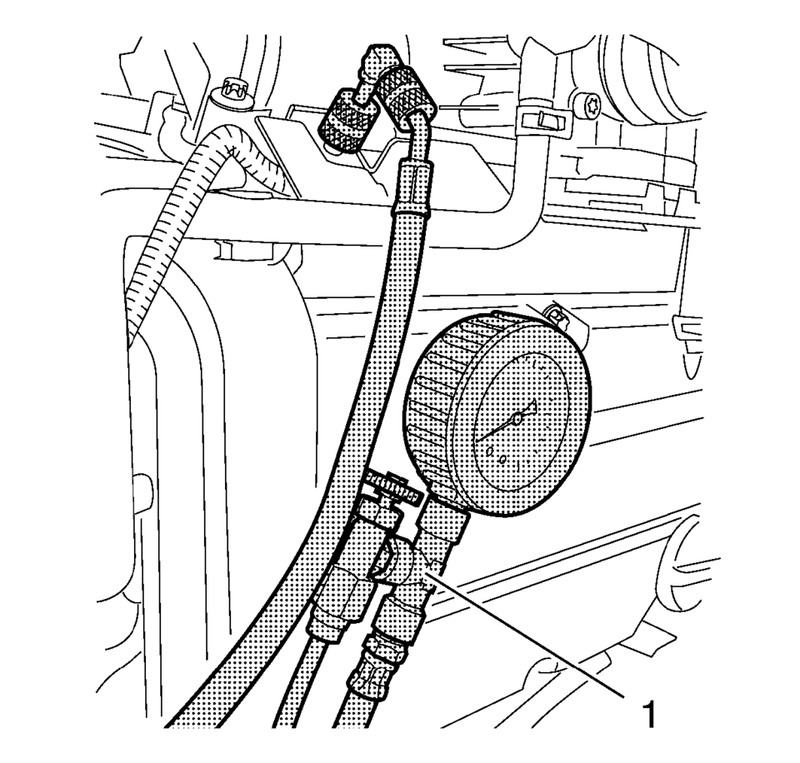 After relieving the system pressure, a small amount of fuel may be released when servicing the fuel lines or connections. In order to reduce the chance of personal injury, cover the regulator and the fuel line fittings with a shop towel before disconnecting. This will catch any fuel that may leak out. Place the towel in an approved container when the disconnection is complete. Remove the fuel injector rail cap (1). Relieve the fuel pressure. Use EN-34730-91 pressure tester (1).